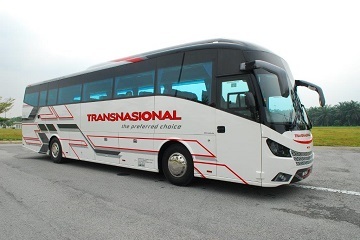 Offering an extensive network of bus routes travelling to more than 200 destinations, Transnasional is one of the largest and most reliable express bus operators in the industry within the Southeast Asia region. 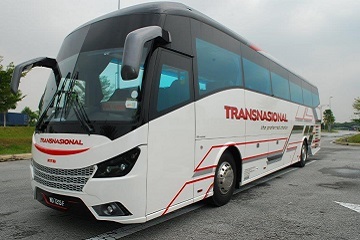 Bus routes by Transnasional cover all major cities as well as towns along with offering more than 2,000 daily departures across Peninsular Malaysia and Singapore. 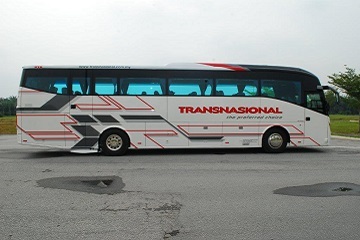 Transnasional offers many bus schedules with express bus routes departing from almost every state in Peninsular Malaysia including Johor, Kedah, Kelantan, KLIA/KLIA2, Kuala Lumpur, Melaka, Negeri Sembilan, Pahang, Penang, Perlis, Selangor and Terengganu. 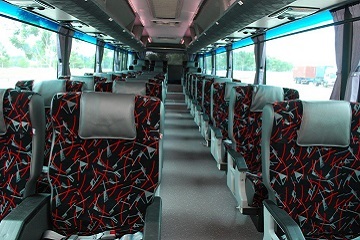 Bus services departing from Singapore are also offered to head to various cities in Malaysia such as Terengganu, Pahang, Kelantan and Johor. Buses operated by Transnasional come in either a 39-seater single deck or double deck. Inside each coach, Transnasional offers spacious legroom as well as comfortable reclining seats whereby all buses are fully equipped with an air-conditioning system. Each bus driver is also well-trained to guarantee a safe journey on board buses offered by Transnasional. As the first to introduce its insurance coverage for passengers as well as baggage load, Transnasional ensures its passengers are compensated for medical expenses or loss of baggage in the case of any unfortunate event. The operator is also a pioneer for the electronic ticketing system offering patrons a hassle-free manner to purchase bus tickets via its ticketing system. 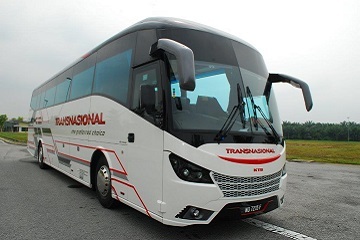 Transnasional Skyview is the company’s most recent launching whereby it is the first 69-seater jumbo coach making it a milestone for the brand and contributing towards achieving exceptional reviews. The new coach aims to provide exhilarating experiences and optimal comfort with its super economy class as well as aerodynamic design and ergonomic super slim contoured bus seats. With so much to offer under one trademark, Transnasional is the preferred choice among many travellers. Easybook provides an online booking platform to purchase tickets conveniently, so book Transnasional bus tickets with us now!